So, you wear your t-shirt around all day (including to take your dog outside to use the grass facilities), but then, just as soon as you change into your sleep attire, the shirt up and leaves a dirty mess all over your chair/carpet/bathroom floor/wherever you threw it?! Like it couldn't wait until it got to the wash?! Well, I'm here to tell you that you don't have to live that way anymore: Simply switch to wearing t-shirts from HouseBROKEN Clothing! This is a review of my new t-shirt from HouseBROKEN Clothing, BUT I made up the part about shirts leaving dirty messes on your stuff, as if they can poo and pee. That part was my 11-year-old self writing a tacky infomercial. HouseBROKEN Clothing sent me the t-shirt I am wearing in this article, without my paying for it. That means, naturally, that I had to pick out the shirt I wanted (read: desperately wanted) from all their designs. Which I did (while squeeing from the privacy of my own home), and then (because I was so excited to get the t-shirt), I couldn't wait to plaster pictures of it all over my blog, in return. I also got (for free) a discount code for all of you readers, plus one for myself, which I'm gonna use when I order (and pay for) the other t-shirt that I'll be giving away to one of you. 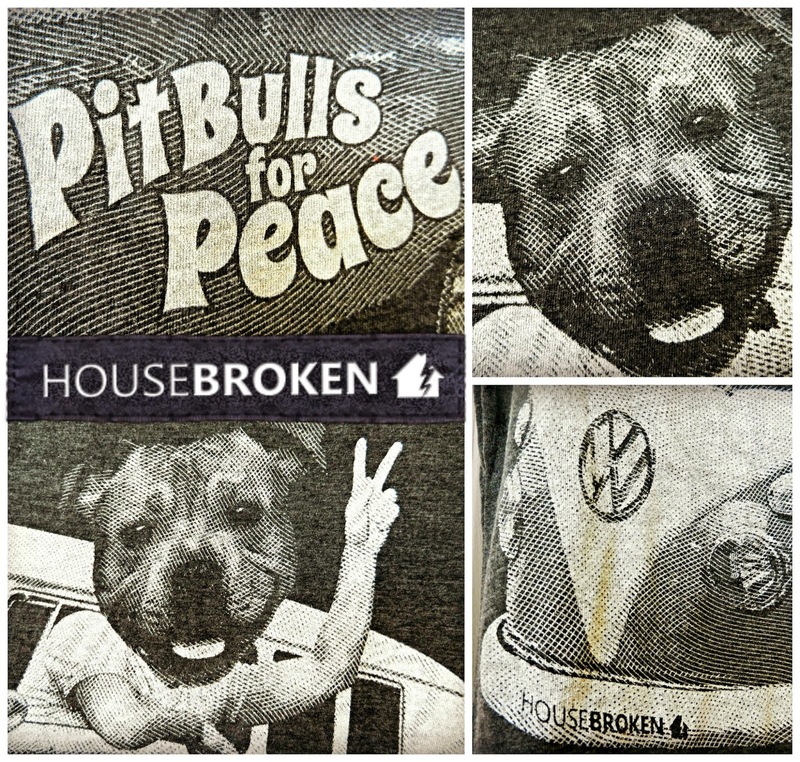 Update 7/20/14: Because they are awesome, HouseBROKEN Clothing is picking up the tab for the giveaway, too. They insisted. And, they rock. Look at my new t-shirt, y'all! 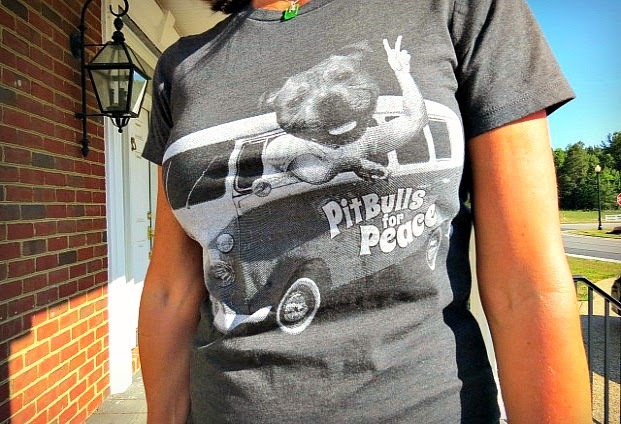 Pit Bulls for Peace! ☺ I LOVE it! 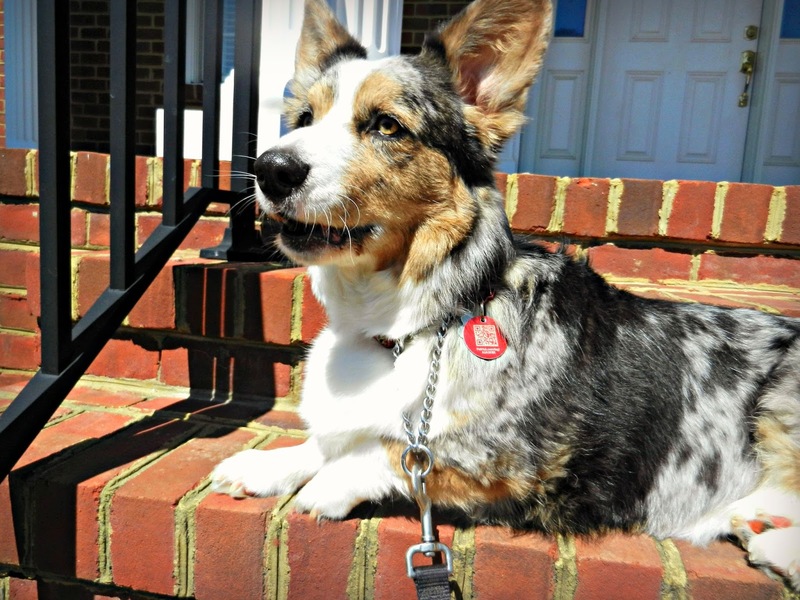 Does anyone remember the post I wrote about sweet William (the beautiful brown brindle pittie at the Richmond SPCA, who had Cardigan Welsh Corgi DNA, according to his Wisdom panel)? Yeah, well his smiling face might as well be up there on that shirt! And, I've already worn it (to show off my soft spot for the pitties) all over the local creation! * Yes, that's me, but you should know that I used the weight-loss and wrinkle remover tools in PicMonkey, while editing all of the photos containing my person. 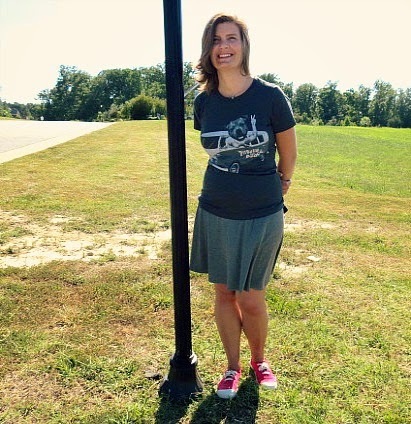 The natural choice (I think) would be to pair a t-shirt with denim, or shorts; therefore (being an odd ball), I went with a gray, jersey knit skirt and hot pink sneakers. For the record, the tee looks great with my jeans, too. Before ordering, I asked Ashley (at HouseBROKEN) about the ladies' shirt sizing. She told me they run a bit small, so if I like a little room in my tee, I should go up a size, which I did. Please observe that I am not a skinny girl, and probably would never be mistaken for a boy (if you know what I mean), so I ordered a size large. It fits me perfectly. The shirt is well-made, hearty (NOT paper-thin/see-through), soft, and has just enough stretch (so not to adhere to problem areas). So, Other Than Your Cute T-Shirt, What's So Special About HouseBROKEN Clothing? Their all-American production process. All their shirts are hand printed in Florida (at their own printing shop) on soft cotton jersey, in a variety of flattering colors. And Scott, who co-owns the company with his wife Ashley - personally creates all** the artwork. Described by himself as "artistic humor," these whimsical and quirky, completely original and mostly animal-related shirts are RIGHT UP MY ALLEY. 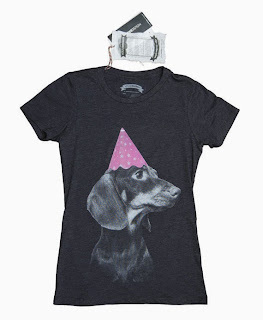 The pit bull shirt is clearly my favorite, but this doxie in a party hat (among others in the shop) totally makes me happy, too. You'll find poodles, Basset Hounds, bulldogs, pugs and chihuahuas, among other breeds, in the collection, too. All tees are available for purchase at both their website store and Etsy shop. Shipping is FREE to addresses in the US and Canada! No minimum! Always! YAY! 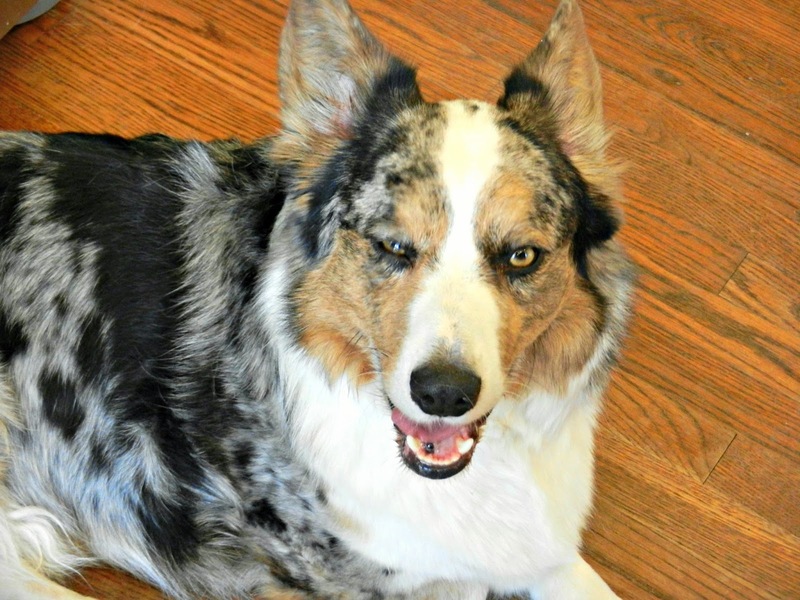 They are animal-lovers and give back to their local no-kill animal shelter! A portion of every sale is donated to the Peggy Adams Animal Rescue League, Humane Society of the Palm Beaches in Lake Worth, Florida. How cool is that? ** Although Scott is an artist, he's not too proud to consider one of your t-shirt designs. So, if you think you've got something that'll float his (and his customers') boat (my words, not his), just shoot him an email. And, now for the FUN part! FIRST: See something you like? Use the code Cardi10 at checkout (good on both the web store and Etsy) for 10% off your order! Enter using the Rafflecopter below! I'll email the winner. Good luck! BONUS! Outtakes from the photo shoot! 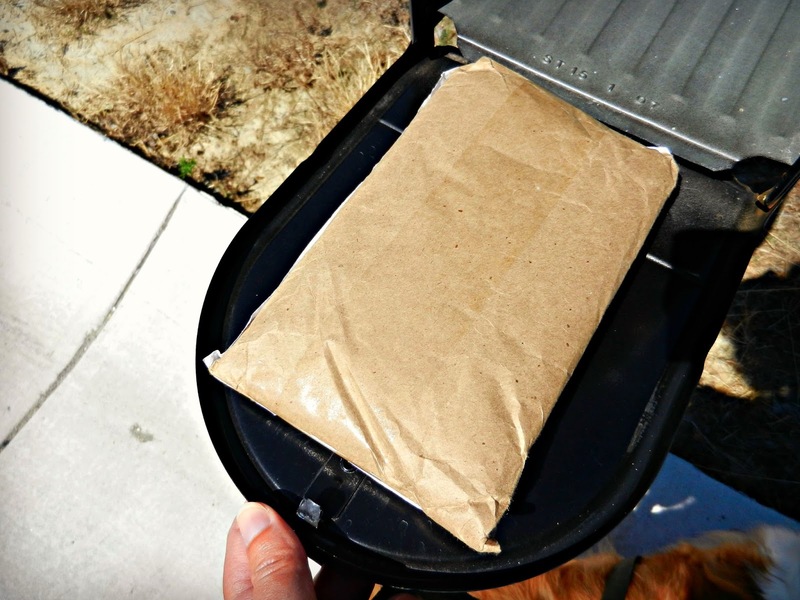 "Girl, I know she [the mail carrier] didn't just roll outta here without leaving me a package!" 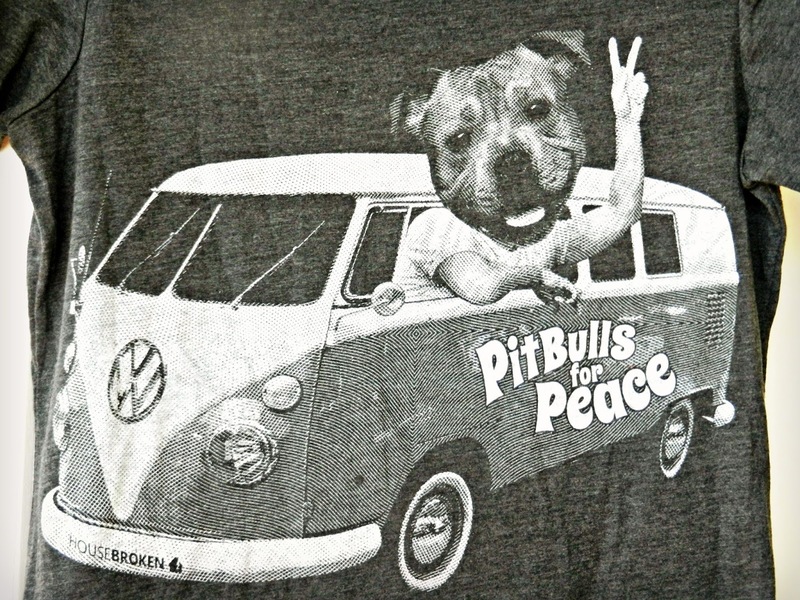 "Pit bulls for a piece? A piece a what? They got a shirt that says corgis for a piece a chickin? Or how bout some pie? As in pizza?" Hot pink (KEEN, on clearance) sneakers. That is all. I would wear this anywhere and everywhere! Chantilly looks like a sweetheart. 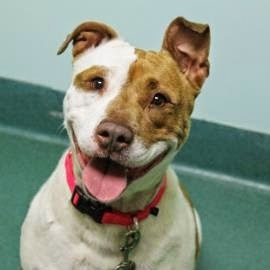 I hope she finds a home soon. We want more cats. We want more cats on Tee shirts. We think Maddox would make an excellent tee shirt cat! OMD what a cool shirt! 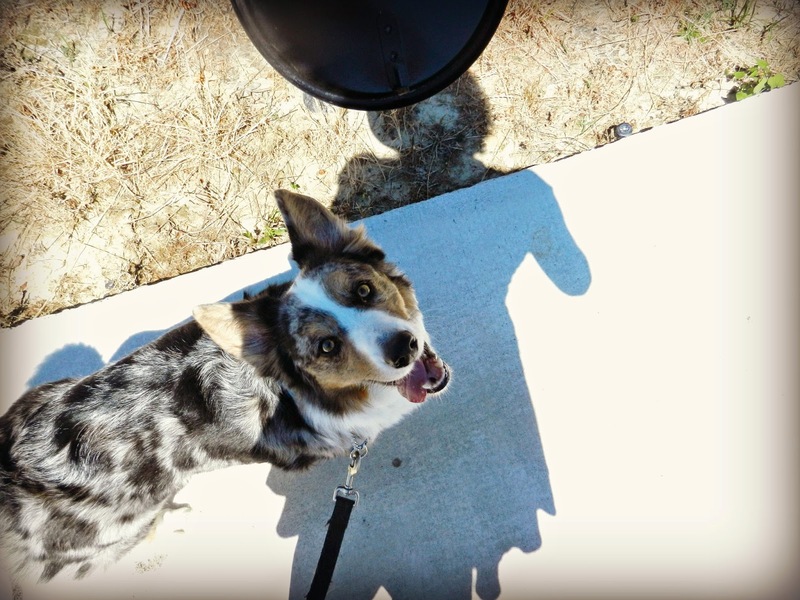 I'd be showin' it off around the neighborhood on our walks, at the dog park, at the zoo....well, ok, not the zoo - but only because I don't go there. Wishing the best for Chantilly!! I love, love, love your shirt!! Did you have to mention that they carry Basset Hound tee shirts??? Drat! Now I have no other choice, but to go see them! LOL!!! 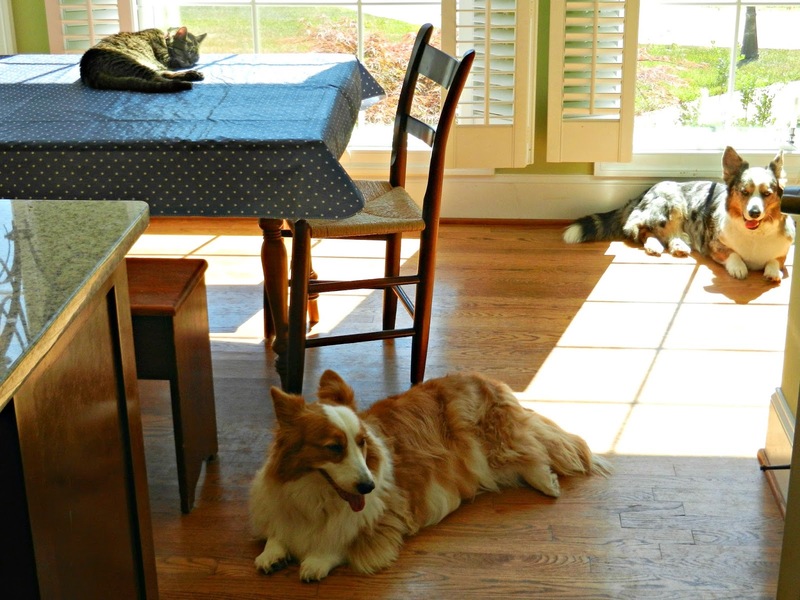 I thinks a "Corgis for Piece of Chicken" would be hilarious!! Oh my Dog! Chantilly looks adorable! That's such a beautiful face! Cute! 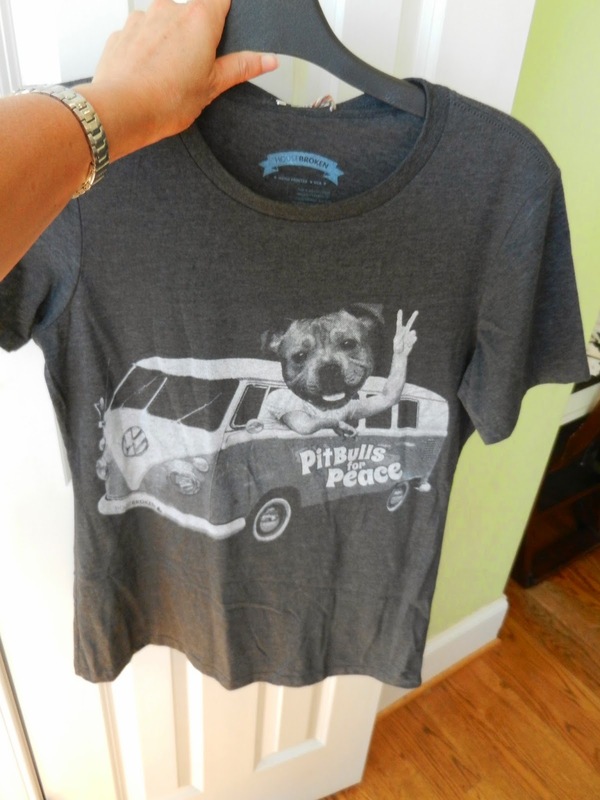 I'm a pit bull person myself and love this shirt! Very "groovy"!